I was using some of the die cuts they had on hand at the Scrapbook Manner in Lake Geneva were I went a couple of weekend ago. I planned this card there and put it together at home. The quote says; "Life isn't about finding yourself, It's about creating yourself." 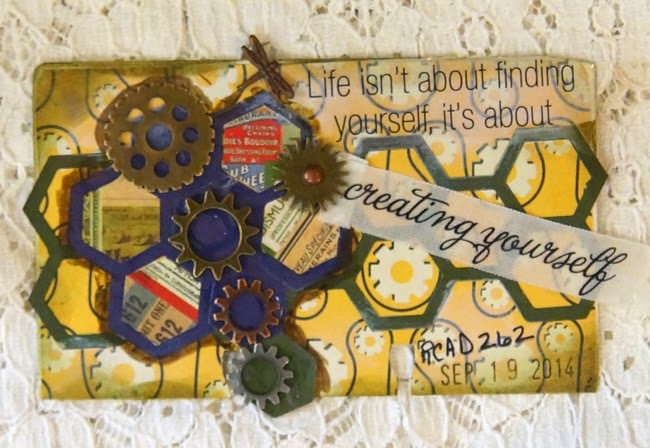 Absolutely gorgeous Linda love the honeycomb effect and the cogs, the sentiment is perfect.